Tarboro’s municipal milk plant is getting attention. First from the Department of Natural and Cultural Resources. More recently, in the January issue of Our State magazine. At the time, I never thought it odd that a government agency delivered milk to our door. When I went to other places and they had to go buy milk at a grocery store, I thought that was odd. Later, I moved to France and found whiskey at the grocery store. And, sheeps’ brains once a week at the student restaurant. In Tarboro, we had socialized milk, socialized whiskey. Free-market sheeps’ brains. 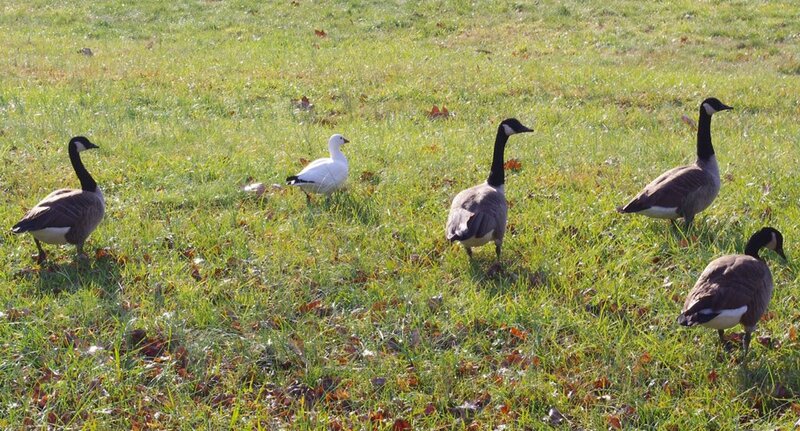 A Ross’s Goose has appeared at Guilford College. It has taken to hanging out with the usual crowd of interloping Canada Geese. He is not supposed to be there. Ross’s Geese usually go to California or Mexico this time of year. This one may have heard about Guilford’s unusual — practical liberal arts — field biology curriculum; or there may be some Quaker thing working here. Fabled Guilford ornithologist Lynn Mosley is on the case. Guilford and Greensboro seem to be greeting the event with more aplomb than similarly situated Mainiacs . Anyway, this visit is rare, surely auspicious. And, I’ve got to say, I like the cut of the little fellow’s jib.